"I've always had a love of old Russian folktales and of the Vasilisa the Beautiful stories. She was a kind of a Russian Cinderella character. Vasilisa's father remarried after his first wife dies, his second wife is a cruel stepmother to Vasilisa. 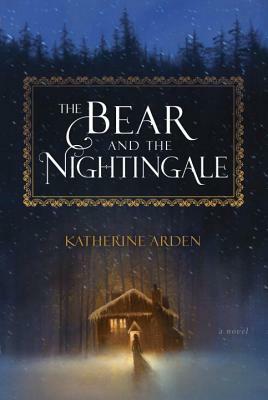 The Bear and the Nightingale is the Vasilisa story told so well. Arden specialized in French and Russian literature and lived in Moscow studying. The book is so atmospheric and magical. Lovers of old Russian literature will enjoy reading this book while they learn more about Vasilisa and the dangerous and magical life she lead."